Travelling and technology now go hand-in-hand, but I can mean lugging around a lot of cables and gadgets and periphery accessories to keep all of that gear juiced-up and ready to use. 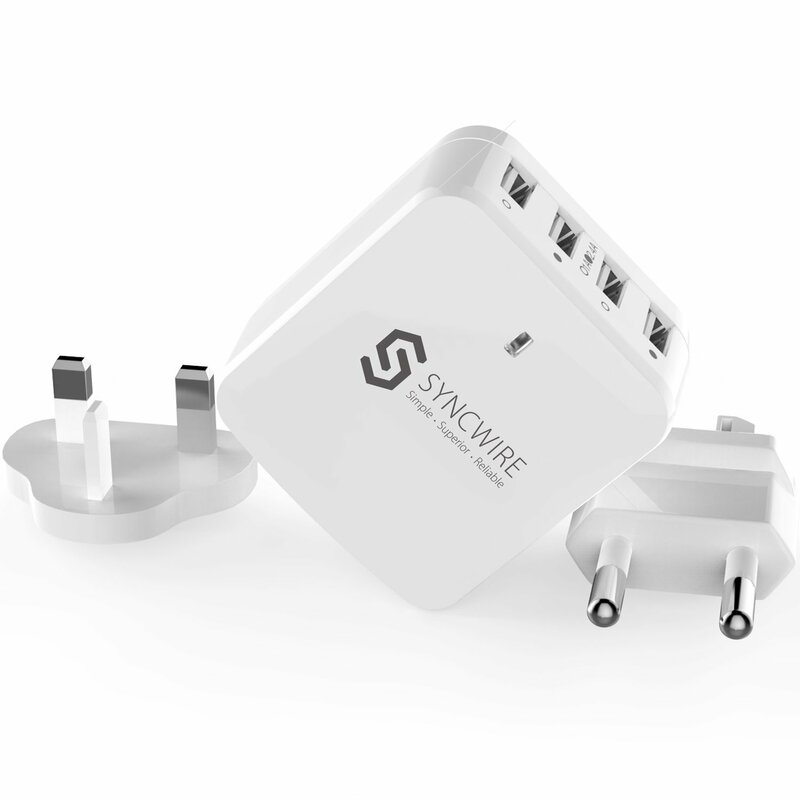 Cue the Syncwire 4-Port USB Wall Charger. Why did nobody think of this before? With interchangeable adapters for UK, EU and US, this very simple plug offers four USB ports for charging gadgets like phones, tablets, cameras, and portable batteries (who doesn’t now travel with a portable battery?). Currently selling on Amazon for a really good price, TravGear jumped on the bandwagon to see how it performed on the road. In practice, not all of its USB ports are the same; two are rated at 1-amp, and the other at 2.1 amps. 1-amp is fine for phones, but to charge a tablet you will need to use one of the 2.1 and USB slots. However, it’s easy enough to choose which one you need; the 1-amp USB ports are marked with an open circle, and the 2.1 and USB slots are marked with a solid circle. Easy! So is swapping between the various international adapters in the box, making this an affordable and very useful gadget to take with you on the road to stay powered-up when staying in hotels and guesthouses.